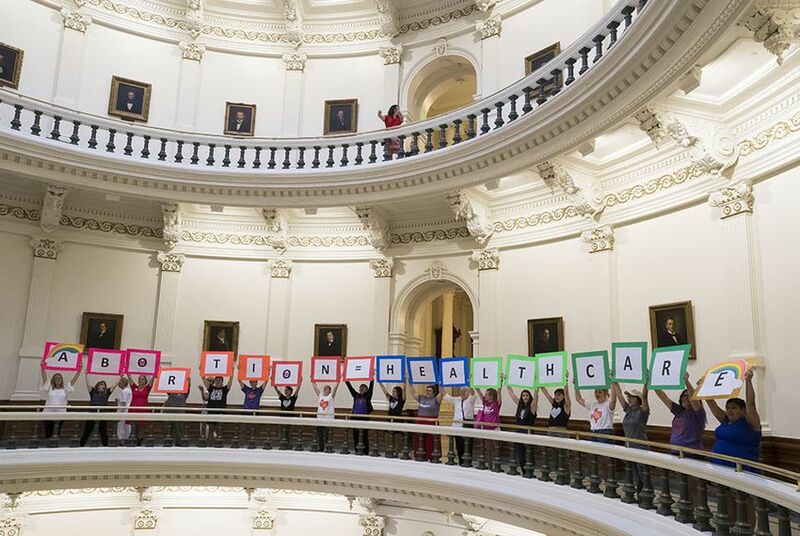 Multiple advocacy groups supporting abortion rights filed a lawsuit Thursday challenging several Texas laws that restrict access to abortion. The groups claim in the filing that the laws particularly harm low-income people, women of color and other marginalized communities. The suit targets laws that the advocates say promote the distribution of inaccurate information to patients, shame women who want abortions and create bureaucratic barriers to the operation. Citing a U.S. Supreme Court ruling that blocked a 2013 Texas bill, the advocates are attempting to retroactively apply the ruling to Texas abortion-related laws going back to 1999. The lawsuit was filed in federal court in Austin. The plaintiffs in the case are the Whole Woman’s Health Alliance, the Afiya Center, Fund Texas Choice, the Lilith Fund, the Texas Equal Access Fund, the West Fund and Dr. Bhavik Kumar, who serves as medical director of the Whole Woman’s Health Alliance clinic. The U.S. Supreme Court ruled that states have a right to regulate abortions but cannot "impose an undue burden on abortion access," the lawsuit states. The lawsuit says Texas has "failed to institute these parameters." State policies the suit challenges include the targeted regulation of abortion providers, which has subjected abortion providers to different regulations than other healthcare professionals since 1985. The suit also challenges policies that it says halt progress on research to advance medical abortion. Republican Attorney General Ken Paxton is listed as a defendant in the suit. Marc Rylander, director of communications at the office of the attorney general, said in a statement that the U.S. Supreme Court has upheld requirements like those targeted in the suit and has "affirmed multiple times that the state has an interest in safeguarding women’s health and protecting unborn life." The suit also targets a University of Texas System policy barring students from getting credit for internships and field placements at institutions that provide access to abortions. The lawsuit also mentions that low-income Texans, who comprise a majority of those seeking abortions, face increased barriers due to reduced state funding toward reproductive health. "This is about respecting the rights of people," said Lili Gomez, director of outreach at the West Fund. Stephanie Toti, one of the lawyers representing the reproductive rights organizations, said the lawsuit only challenges laws that are not "medically necessary.” But, she said, it’s an important first step in increasing access to abortions in the state. She added that Texas is not alone in restricting abortions and that other states have similar restrictions. “As time goes on, we’re going to see more of these cases,” she said. Former state Sen. Wendy Davis, a Democrat who famously filibustered the Texas Senate in 2013 to prevent a bill that advanced restrictions on abortions, said the lawsuit "is really reflective of the same kind of energy that resulted in the people's filibuster." David Yaffe-Bellany and Sydney Greene contributed to this report.